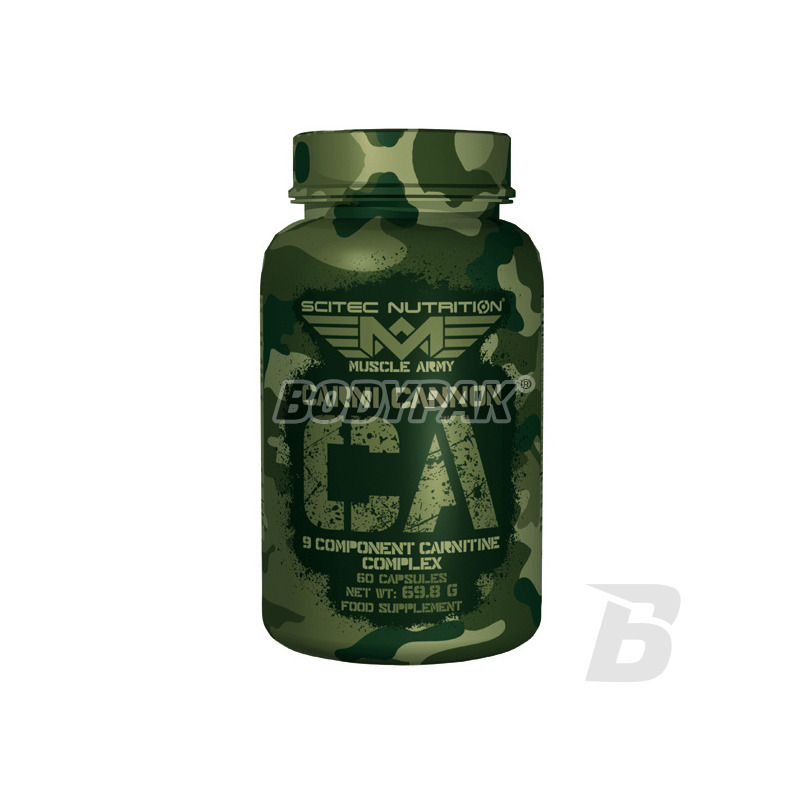 Fat LossScitec Muscle Army Carni Cannon - 60 kaps. 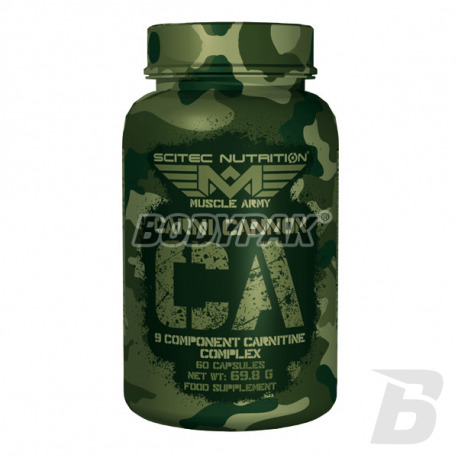 Scitec Muscle Army Carni Cannon - 60 kaps. Scitec Muscle Army Carni Cannon to 9 Component fat burner containing several forms of L-carnitine and other substances to support the fat reduction. * It has been scientifically proven and approved by the European Food Safety Authority (the European Food Safety Authority). Składniki: Winian L-karnityny, Pirogronian Wapnia, żelatyna wołowa, Acetyl-L-Karnityna HCI, dwuwinian choliny, Alfa-ketoglutaran Wapnia, Nośniki (Stearynian magnezu), Kwas Alfa Liponowy, barwnik (dwutnelek tytanu), amid kwasu nikotynowego, Jodek Potasu, Pikolinian Chromu. Czysta siła spalająca tłuszcz. Bardzo mi pomógł podczas odchudzania. Skutecznie wspomaga redukcje tkanki tłuszczowej, 3 tygodnie i dwa klio w dół, jedziemy dalej !! High quality piperine extracted from black pepper (Piper nigrum) in the form of tablets! It promotes proper digestion by stimulating the secretion of digestive juices. It affects the elevation of thermogenesis which allows for the accelerated burning of the fatty tank. Put on efficiency!